In a small bowl, whisk together first 5 ingredients-- these are your dry ingredients. In a larger bowl, whisk the rest of the ingredients together--these are your wet ingredients. Whisk until there are no clumps. Slowly mix the dry into the wet. If needed, add a splash of water to thin. Grease your griddle or non-stick pan and spoon the batter on. Cook until golden brown on both sides and cooked in the middle. 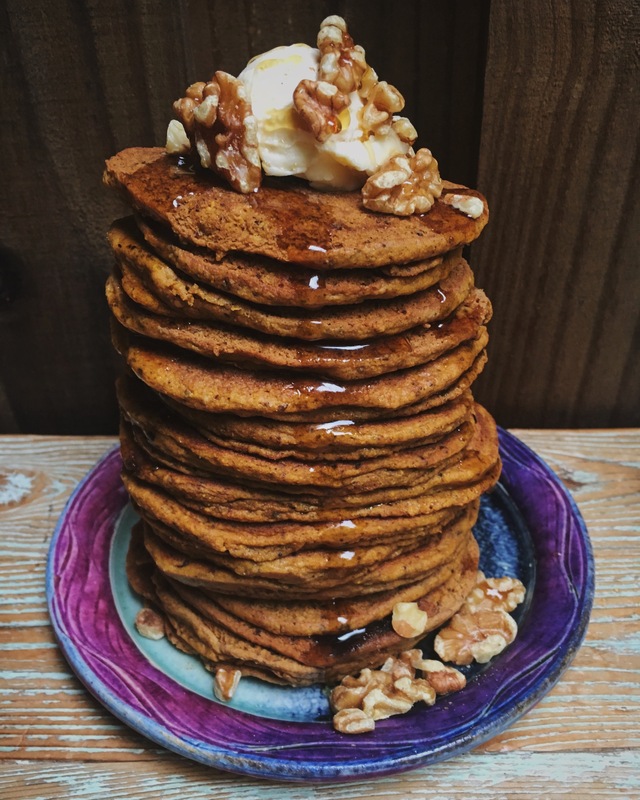 Enjoy with vegan butter and maple syrup!